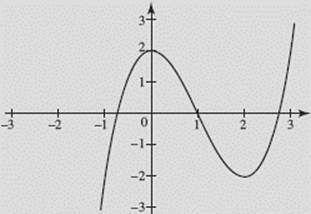 The absolute-value function f (x) = |x| and the greatest-integer function g(x) = [x] are sketched in Figure N1–3. 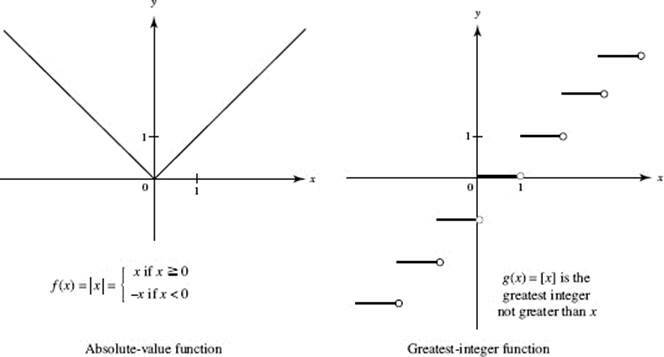 A function f is defined on the interval [−2, 2] and has the graph shown in Figure N1–4. 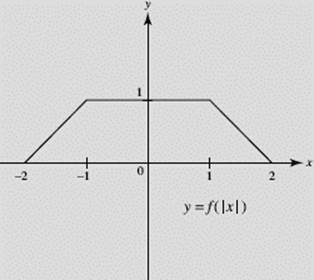 (a) Sketch the graph of y = |f (x)|. 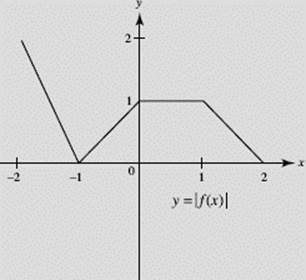 (b) Sketch the graph of y = f (|x|). 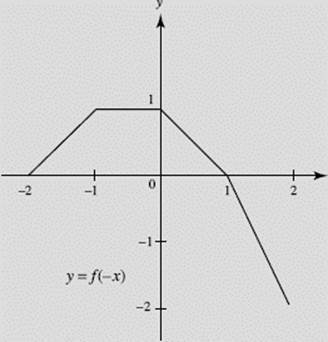 (c) Sketch the graph of y = − f (x). 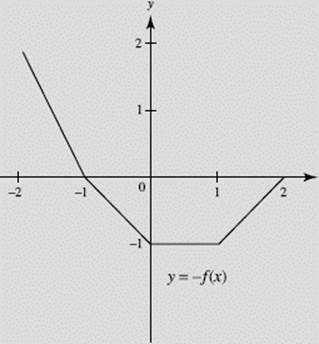 (d) Sketch the graph of y = f (−x). 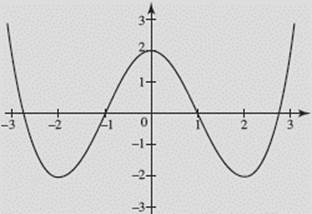 SOLUTIONS: The graphs are shown in Figures N1–4a through N1–4d. Note that graph (c) of y = − f (x) is the reflection of y = f (x) in the x-axis, whereas graph (d) of y = f (−x) is the reflection of y = f (x) in the y-axis. 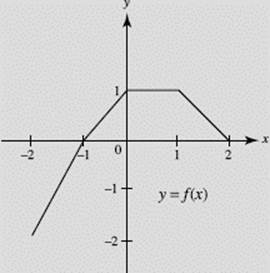 How do the graphs of |f (x)| and f (|x|) compare with the graph of f (x)? Let f (x) = x3 − 3 x2 + 2. 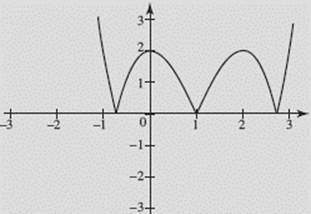 Graph the following functions on your calculator in the window [−3,3] × [−3,3]: (a) y = f (x); (b) y = |f (x)|; (c) y = f (|x|). Note how the graphs for (b) and (c) compare with the graph for (a).